Maximize the outdoor living space at your Dallas home with artificial grass on your rooftops, decks and patios. See many unique uses and benefits for Texas homes and businesses! Life is too short to stay indoors, and that’s why many families across the nation are making the pledge to get outdoors. One way to easily entice your family outdoors is to install artificial grass at your Texas area home. Synthetic grass usually replaces traditional sod in front, back and sometimes the side lawns. Today, artificial turf is found everywhere from lawns, dining tables and expo booths to rooftops and decks. Its soft, inviting texture beckons parents, children and pets everywhere to spend more time enjoying the outdoors. More often than not, roof spaces above homes, garages, and commercial buildings go unused, but it doesn’t have to be this way. SYNLawn® Texas makes it easy to turn roofs and decks into kid and pet-friendly areas. Create a relaxing space with lightweight outdoor living solutions from SYNLawn® ‒ perfect for homeowners and commercial property owners. Consider installing the synthetic grass on a rooftop or deck to serve as a dog area, picnic area, garden space, or simply a sanctuary away from everything else. SYNLawn® artificial grass boasts a Class-1 fire rating, is lightweight while still providing proper drainage, and it looks beautiful. Here are some of the uses you can explore today! When you allow us to install synthetic grass on top of your Dallas-area home, you are buying a truly low-maintenance product. You will never need to stain, sand, paint, or weather-proof a wooden rooftop deck again. Artificial roof grass is a truly cost-effective and long-lasting solution compared to traditional wood or composite wood decking. Bring some greenery back to the concrete jungle by installing an artificial rooftop grass system. Complete the look with planters, garden rocks and stacked stone retaining walls. Multi-family communities use this solution to serve as a dog area as an added amenity for renters. Other benefits for installing synthetic roof grass is opening up the opportunity to serve as an outdoor wedding venue or perfect photography backdrop for local photographers. Provide a more comfortable surface between buildings or sections of your yard with artificial patio grass. 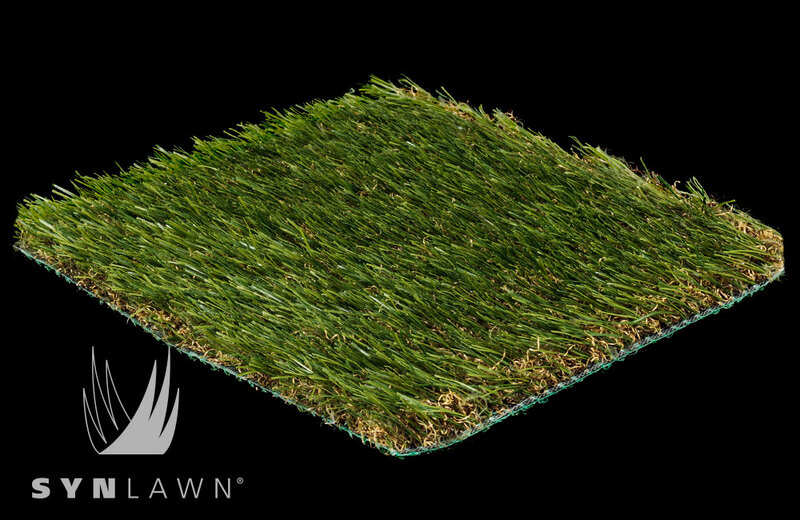 Get the amazingly soft feel of grass under bare feet without the irritation of grass allergies or pests. Our HeatBlock™ technology keeps the turf cooler than most concrete and slab surfaces. It also deters most types of insects and just looks better than drab concrete. SYNLawn® Texas in Dallas provides artificial grass for decks, patios and rooftops. If you are ready for a change, but are not sure how to include synthetic grass into your landscaping, give us a call at 214.919.0767. We can help you select the right grass product for your needs. Don’t forget to check out our monthly specials!